Information: Ellis Benton Salt, author of books about dance. 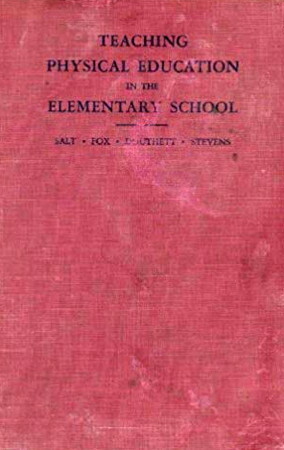 Teaching Physical Education in the Elementary School, by E. Benton Salt, Grace I. Fox, Elsie M. Douthett, and B. K. Stevens, music by Kathleen Gruppe Merrill. New York: Ronald Press, 1942, 340p. (OCLC 4783978); New York: Barnes, 1942, 340p. (OCLC 490726). Teaching Physical Education in the Elementary School, 2nd ed., by E. Benton Salt, Grace I. Fox, Elsie M. Douthett, and B.K. Stevens, music by Kathleen Gruppe Merrill. New York: Ronald Press, 1960, 464p. (OCLC 392319).